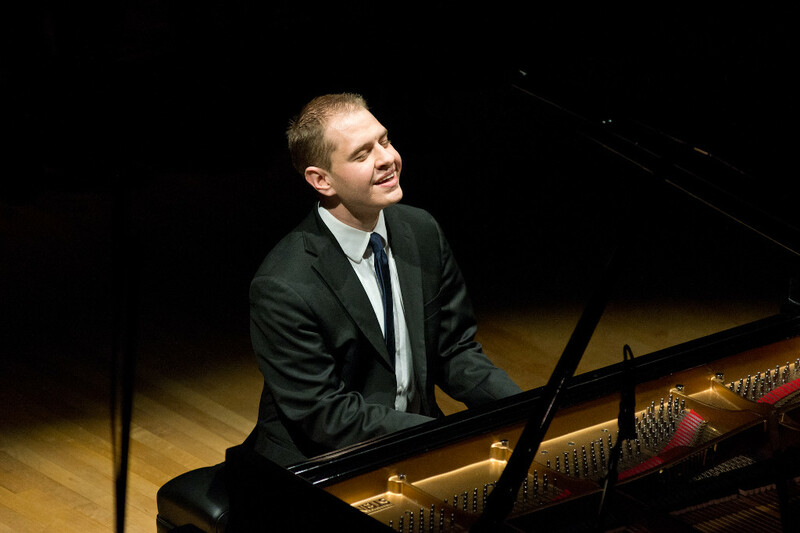 The winner of the 2012 Nottingham International Jazz Piano Competition, Siskind is also the second place winner of the 2011 Montreux Solo Piano competition and a two-time finalist for the American Pianist Association’s Cole Porter Fellowship in Jazz. His 2015 CD, Housewarming, featuring Grammy-winning singers Kurt Elling and Peter Eldridge, was named the second-best vocal jazz CD of the year by the Ottawa Citizen, and hailed as a “shining example” of chamber jazz in Downbeat magazine, who also named it among the year’s best. As a performer, Siskind is a leader of the “in-home concert” movement, having performed in about 100 homes in 25 different states since 2012. Siskind has also performed at “traditional” venues, such as Carnegie Hall, Lincoln Center, and the Kennedy Center, as well as in Japan, Switzerland, Thailand, England, India, France, Tunisia, and China. Siskind currently has eight publications with Hal Leonard, including the major instructional book, Jazz Band Pianist. Upcoming projects include collaborative songwriting project with composer Lucas Pino that will debut at Dizzy’s in Lincoln Center in June. The piece, entitled, “Golden Rule, Turing Test,” examines whether the nature of compassion is changing in the digital age. Siskind serves as musical director, arranger, and pianist on vocalist Nancy Harms’ upcoming CD, Ellington at Night. Finally, he’s collaborating with saxophonist Andrew Rathbun on reinterpretations of Debussy’s Préludes for the Gilmore Keyboard Festival in May. Jeremy Siskind holds degrees from the Eastman School of Music (Jazz Performance and Music Theory) and Columbia University (English and Comparative Literature). He’s the Artistic Director of the American Jazz Pianist Competition. Jeremy Siskind is a Yamaha Artist.